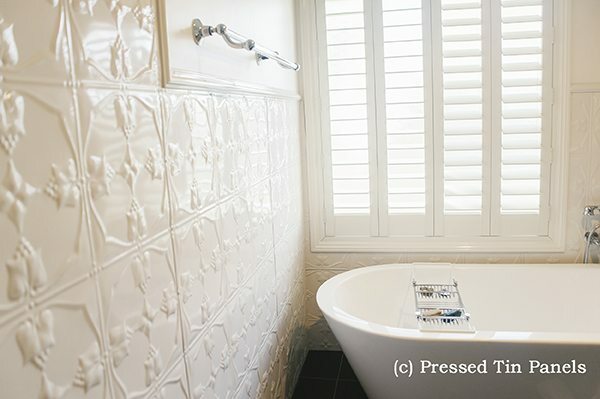 A brilliant alternative to tiles and grout! A wonderful range of patterns and choice in colours – this could be the delightful answer to your new home or renovation! Follow these pointers for planning your Bathroom (click on the red text and it will open in a seperate tab). Peruse through our Bathroom album for great installed examples and inspiration. Download and read our Panel Coating Information and Wet Areas Showers Installation Area. Visit our FAQ page for more valuable information and find the powder coat colour selection charts here. Request your free samples, brochure and recommended retail pricing here. Find a local supplier to make an order or find out more information about local installers. Order direct with us – call 02 6332 1738. We can help with pattern and colour choice, assist with quantity calculation and quotes. Email through some photos and a plan with measurements and we can quote for product, cutting to size (conditions apply) and freighting to your door. Talk to us about locating experienced trades people in your area or if you are one call us with photos of your work and details for future referrals. Get in touch with us via the phone or fill out your details below.